My client seem not running well, it already stuck at this white screen for 10 minutes, how to access it? There's too little information for me to help you, can you try to explain your steps of installing the game, or has the game worked for you before? 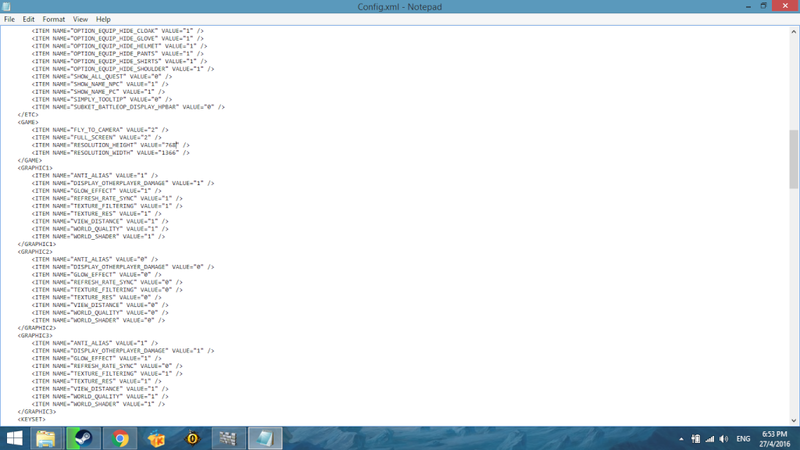 - Config.inb broken, you can try download another config.inb from the forum in download section. 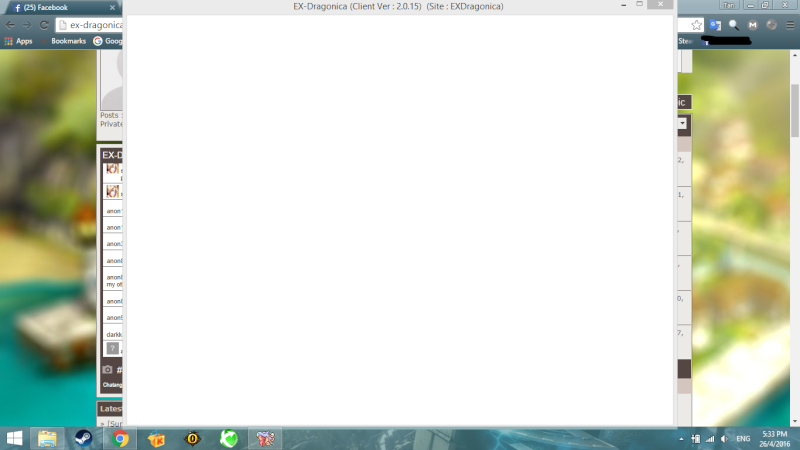 - Process: Dragonica.exe from anywhere, be it another server or this is still running in the background not properly closed. Use task manager to kill it. - Lack of graphics card, well .. nobody has had this problem. What kind of GPU do you have? When you replace it, do you delete any files? find Width= and Height= and change to a resolution you know will work. If that doesn't work, then I can only think you installed it wrong. or some files being deleted by antivirus or something. Another option is you can add me on skype:thejoe67 and install teamviewer, and I will install it for you to make sure everything is properly installed and I can troubleshoot the problem from there for you. and i tried 800x600 but the end is the same. so i think u cant download the file in short time lol..
Before we teamviewer, make sure you have latest manual update and the game installer downloaded. could i update my computer to win10 to access into this server LOL?